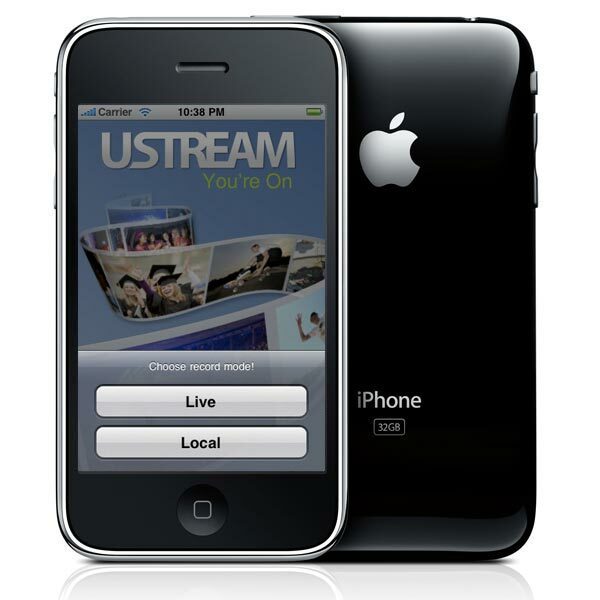 Ustream has launched a new iPhone application, that lets you stream live video from your iPhone 3GS to the web, the Ustream Live Broadcaster iPhone App. The Ustream Live Broadcaster iPhone App lets you share recorded videos to Ustream, and other websites like Twitter, Facebook and YouTube, and it will automatically stream and record to your Ustream Show page. Ustream is the leading live interactive broadcasting platform that enables anyone to quickly broadcast to a global audience of unlimited size. Easily stream live moments from your phone and share with your friends, family, fans, followers and others — and have the recording of your video afterward! The Ustream Live Broadcaster iPhone App will work over both 3G and WiFi, and it is available as a free download from iTunes, you will also need a Ustream account to use the app.